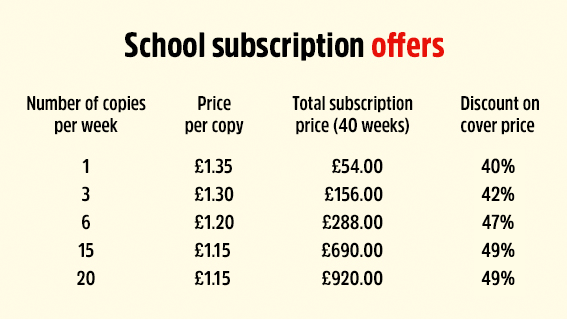 How does a school subscription work? If the number of copies you would like does not appear in the form, please contact our dedicated school customer service team using the details above and they will be able to help you place your order. If you are a school based outside of the UK please contact our Customer Service Team above who will be able to arrange a quote for you as additional delivery rates apply to overseas orders.